Dr Jill Homewood initially trained in general medicine and gained by membership examination before entering anaesthesia. She was appointed to North Bristol NHS Trust (NBT) in October 2007. Her role includes arranging the departmental rota and job planning. 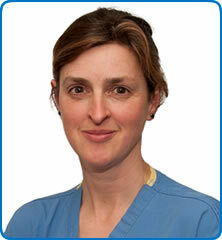 Dr Jill Homewood also has regular commitments in urological and upper GI anaesthesia.